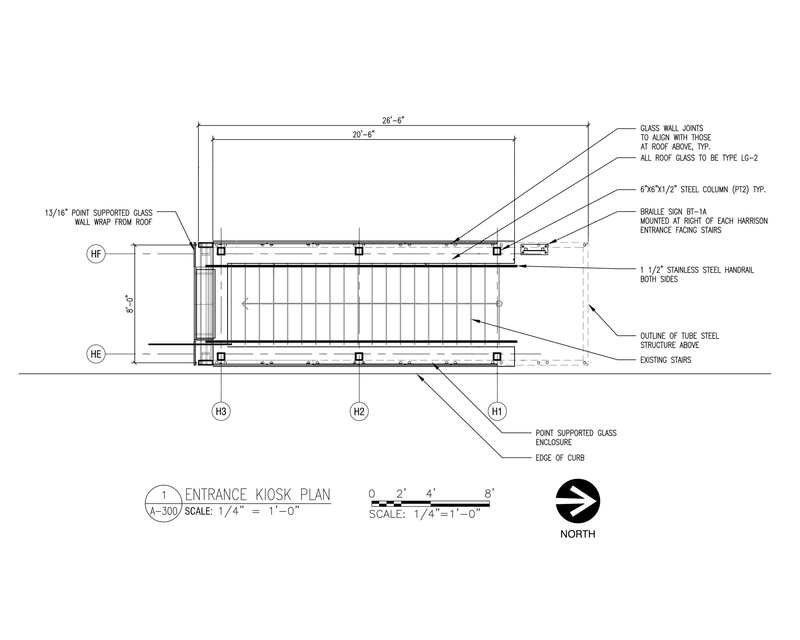 General Contractor: Kiewit Infrastructure Co. 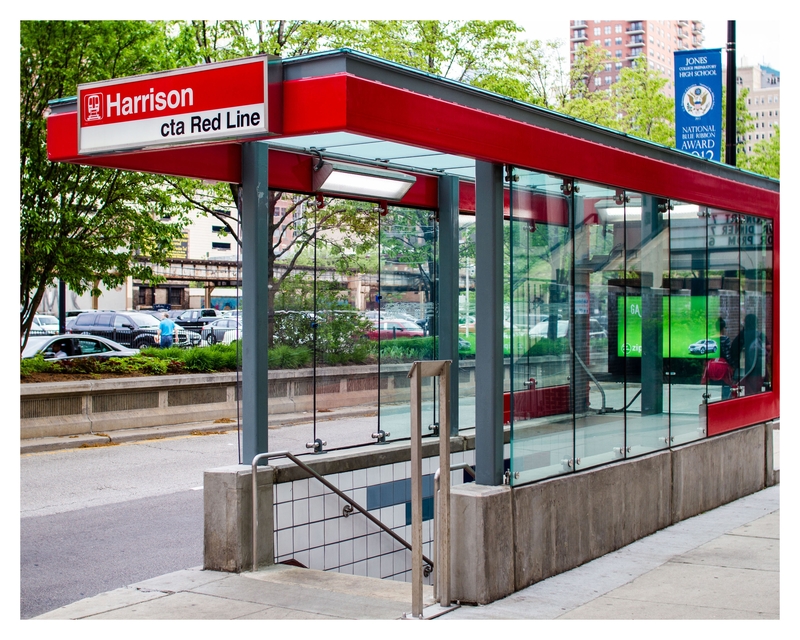 The Chicago Transit Authority (CTA) Red Line, known as the State Street Subway, runs North-South through Chicago’s Central Business District and connects the Northside and Southside residents with downtown. 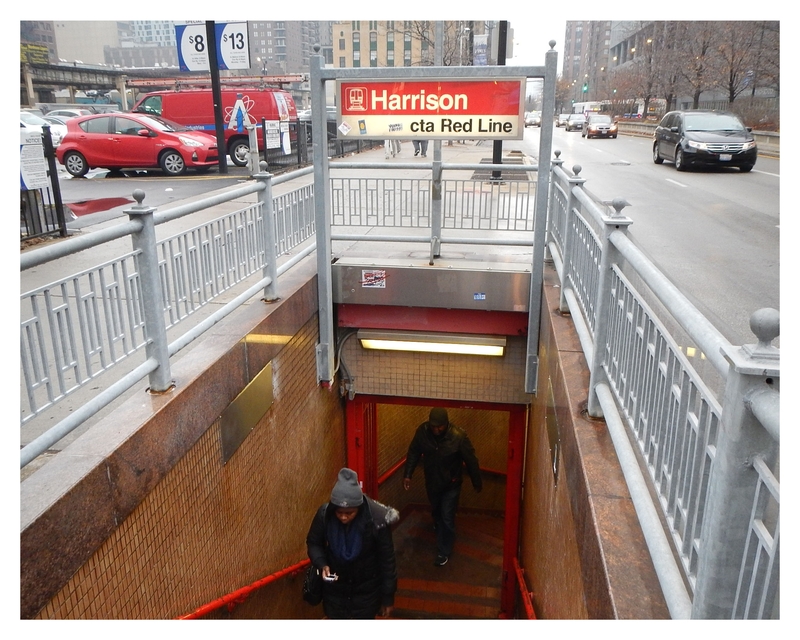 As part of the original section of the State Street Subway, the Harrison Station opened in 1943 and in 2013 CTA selected a Design/Build team to execute station renovations as part of a $10 million investment in infrastructure updates for the neighborhood transit anchor. 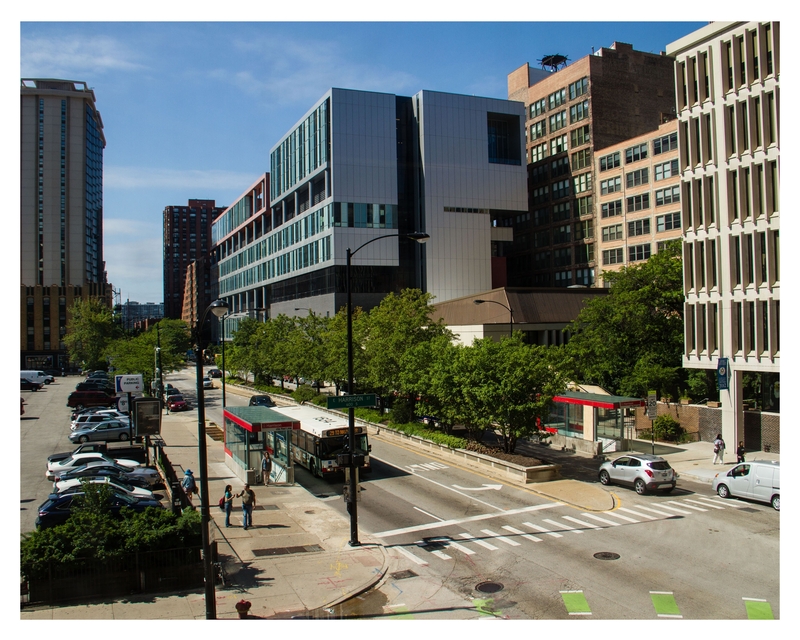 Not only does the station serve 1.36 million passengers in annual ridership, it services the recently expanded and renovated Jones College Prep High School and the southern end of Chicago’s educational corridor. The underlying project goal was to address life safety and enhance the riders’ experience. Two new modern entrance canopies were paramount in accomplishing this effort. These street level elements break from the nostalgia of entrance canopies further north on the line and directly relate to the changing architectural vocabulary of the neighborhood. 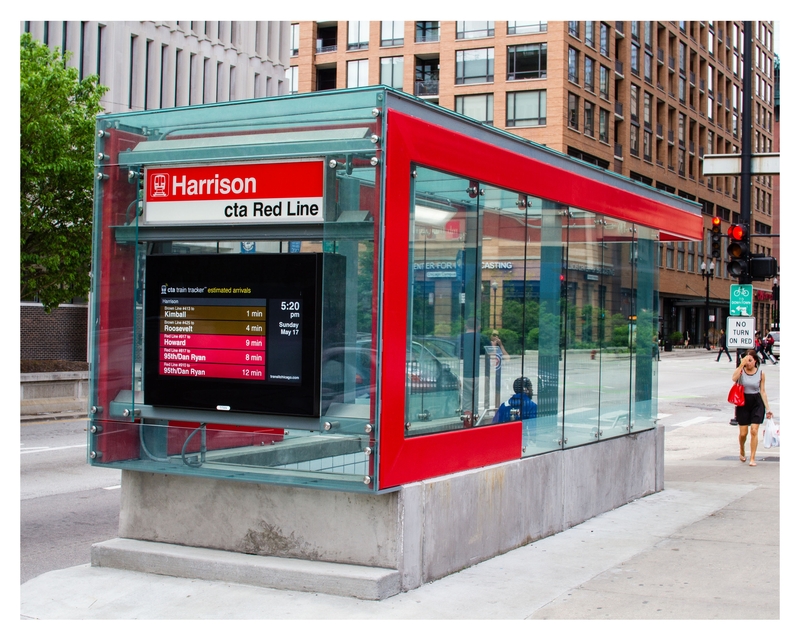 In an effort to create a unique and distinct face for the CTA, our design defines a bold brand for the station through materials and form while providing riders with critical train information and safe passage. Our creative process and design solutions were strongly embraced by the transit system’s leadership for the design’s fresh image, simple but sophisticated detailing, and promotional canvas. 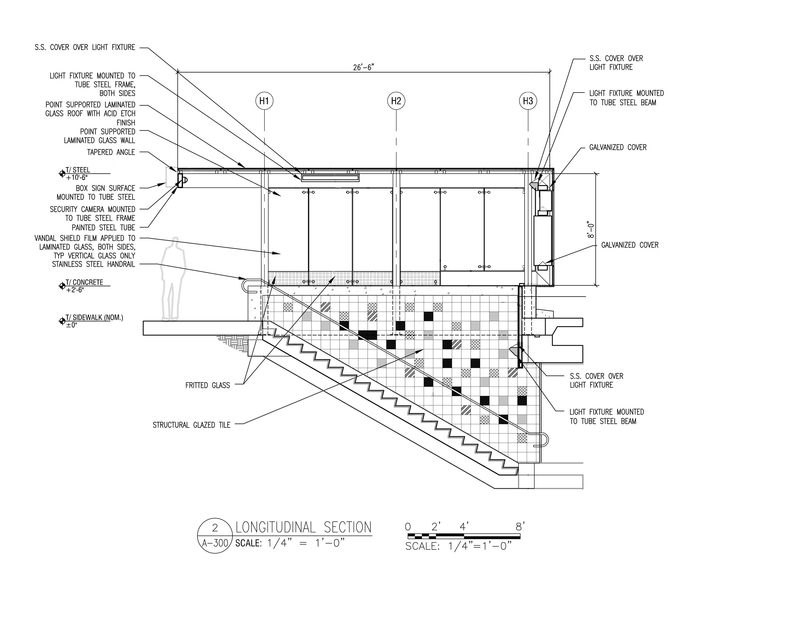 The Design/Build project structure, relatively new to CTA’s procurement process, facilitated efficient installation along a heavily traveled pedestrian and vehicular roadway. This collaborative approach was instrumental in overcoming the challenge to develop precise details of canopy elements for prefabrication.